Ok, So I looked every where on line to find the answer myself of how to solve the xbox 360 restricted nat Problem. So here is the solution I used to sort it out, Now I have Sky Broadband so although this solution will work for other routers the steps may not be the same. 1st open your Broweser and type in your router Ip if it is the default one then it should be something like, http://192.168.1.1/ you will prob have to log in. The sky default user name and passwords are Sky, Admin. 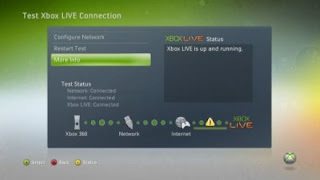 And its as easy as that after I Changed the settings I could finally get a fully connection to the 360 network :) Hope this helps some one else.